Although largely unknown outside the fields of astronomy and astro-physics, Henrietta Swan Leavitt, made one of the most important and pioneering discoveries of the disciplines to date. Her findings turned the contemporary view of the universe completely on its head and laid crucial foundations for the work of those succeeding her. However, as a consequence of her gender and of the shadow cast upon her by those who utilized her findings to further their own careers, her contributions to the astronomic discoveries of the early 20th century went largely unnoticed at the time, and it is only today that her pivotal role in the history of astronomy is fully recognized and appreciated. Her breakthroughs, can thus be considered rather bittersweet; we can only wonder what other discoveries her intellect and ingenuity might have led her to had she not had to battle against deafness and gender discrimination throughout her short career, which ended with her death at the age of just 53. Henrietta, born in 1868, discovered her passion for astronomy in her final year at Radcliffe College, from which she graduated in 1892. It was still extremely unusual for women to pursue scientific careers at this time in America, and even when they did choose to, the opportunities open to them were extremely limited in comparison to those enjoyed by their male counterparts. Women had no freedom to pursue their own research and were not even allowed to operate telescopes until the mid-nineteenth century. Instead, they were compelled to accept low paid and low ranking jobs performing menial data-analysis to aid the research of male astronomers. This is exactly the kind of work Henrietta found herself in 1893, when, initially as a volunteer and eventually as a paid employee working for a meagre 30 cents per hour, she was brought into the Harvard Observatory. Here she worked under a man named Edward Pickering who boasted a large female workforce that included other notable female contributors to astronomy such as Annie Canon and Antonia Maury. Whilst encouraging these women to study and pursue astronomy as a career he hired them to exploit what he saw as their valuable ‘female’ attributes of elevated patience and attention to detail which he believed made women well suited to long and tedious data analysis. So, whilst Pickering could be admired for his advocacy of a female workforce, it also must be noted that he simultaneously restricted the scope and freedom of their ability, perpetuating the view that women should not undertake their own research. Yet as Mack (1990) puts it, in the face of such biased and smothering limitations, Henrietta and other such female astronomers managed to make their mark not by competing in vain for jobs available to their male colleagues, but rather by expanding and fully exploiting what restricted opportunities they did have. At the Harvard Observatory Henrietta was set the task of measuring and cataloguing the brightness of stars in the observatory’s photographic plate collection. This monotonous task would prove to be the gateway to Henrietta’s most spectacular discovery; the period-luminosity relationship, which, is essentially the relationship that allows one to calculate the distance a particular star is positioned from the earth on account of its brightness or luminosity. Carrying on from this, as head of the Photographic Stellar Photometry Department at the Observatory, she went on to devise the North Star Sequence in 1917, a standard against which a star’s brightness could be compared and thus provide an indication of its distance, a technique which would persist throughout the astronomic world until its eventual replacement by photoelectric equivalents in the mid 20th century. She was also the first to observe a whopping 2400 variable stars in the Magellanic Clouds. Her findings shook the entire discipline of astronomy. It became suddenly apparent that the universe was an incredible amount larger than anyone had previously imagined -the star clusters seen faintly through the telescope were not simply peripheral nebulae of our own galaxy, but were in fact galaxies themselves and these intergalactic distances could now be calculated. In this way, Henrietta’s discovery allowed the famous astronomer Harlow Shapley to deduce the size of the Milky Way, arguably his most ground breaking contribution to the field, while the celebrated Hubble Law which indicates the rate by which the universe is believed to be expanding, devised by Edward Hubble, is rooted completely in Henrietta’s initial discoveries. As they say, behind every great man, there is a great woman. Despite her pioneering discoveries, at the time, Henrietta remained unknown and hugely unappreciated. The discovery and potential implications of the period-luminosity relationship were published in the ‘Annals of the Astronomical Observatory of Harvard College’ in 1908, yet any research done there had to be reported by the Director, that is, Pickering, who, it is claimed, did not explicitly give due credit to Henrietta’s ingenious and crucial part in the discovery. Her brilliance was however noted by the Swedish mathematician Mittas-Leffler, who strongly considered nominating her for the 1926 Nobel Prize in Physics, only to learn of her death some years before. On hearing this, Shapley was then awarded it after having claimed that the prize belonged rightfully to him, seeing as it was he who ‘interpreted’ her findings. 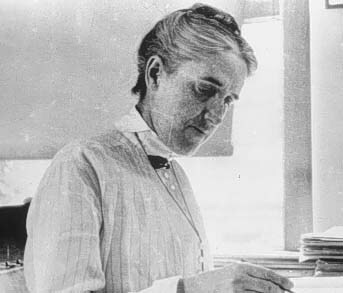 Henrietta Swan Leavitt, although inhibited by gender discrimination, given only ‘simple’ tasks ‘suitable’ for a female and continuously hindered by deafness, made arguably one of the most pioneering and most prodigious contributions to the discipline of astronomy. Reserved and quiet by nature, Henrietta never complained about the work she was assigned, nor did she attempt to escape the intellectual confinement of dull tasks set for her, instead she diligently fulfilled her position within Pickering’s ‘harem’. Had she enjoyed the freedom of a male in the Harvard Observatory, one can only imagine the depths to which her outstanding intellect could have taken her, and what further astronomical mysteries her brilliant mind could have unveiled.